This entry was posted in Transportation and tagged National Hall, Pagani. Bookmark the permalink. I hope there’s was a surprise cloudburst. I know you to be a gentleman. However in my humble opinion it’s time to start publishing the names of these slime balls. Easy in this case. Batman. Or, I suppose more accurately, Bruce Wayne. There are a lot of men driving slowly around downtown on weekends in these loud, sinister looking batmobiles. The first one to do it while wearing a superhero costume is going to cause to me to die of laughter. Personally, I’m not sure what would scare me more: driving something that expensive on the Post Road or parking it and walking away. Is a Pagani legal in the US? 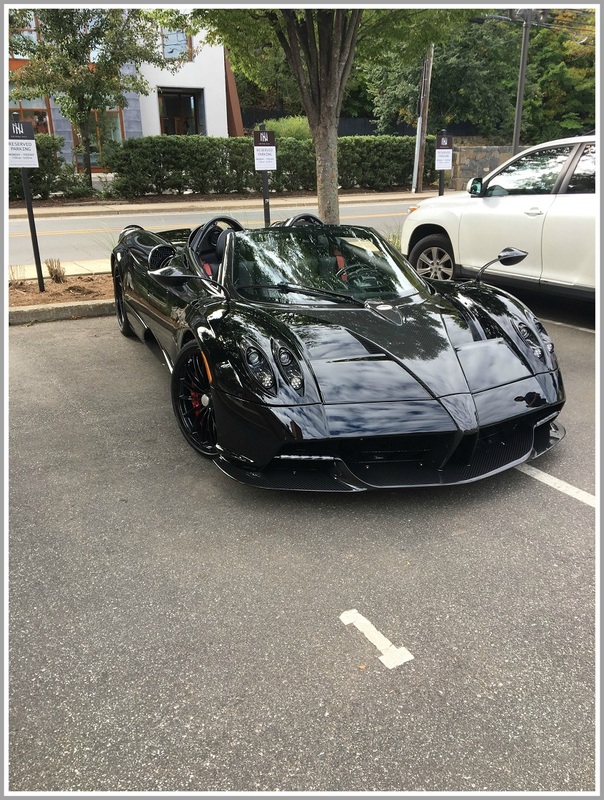 If you own that Pagani…chances are you are renting both spots legitimately. It is one of the most beautiful cars ever made…. a work of art that belongs in a museum! The engine sings as well as anyone of the Italian tenors! I’m so sorry. I backed into your fancy car. Gee but I didn’t see it ‘cause it’s Black! Oh btw I saw a squirrel eating your upholstery! Wow, with so much envy in these posts I’m surprised the car didn’t turn green. Someone is successful, as are many Westportians, and he or she can’t have a toy? I celebrate the joy of driving fast and breaking the chains of the mediocre protesting accomplishments. I see a lot of $700 pocketbooks and 10,000 dollar watches that don’t even keep good time. Pseudo Status. Oh well, off to Port Royal.